Table Rock State Park is best known for, well, Table Rock. But there are quite a few waterfalls in the park. 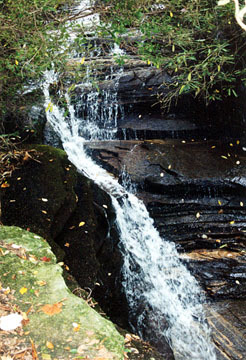 If you hike the trail to Pinnacle Mountain (the highest mountain entirely in South Carolina with its summit at 3,425 feet) for 2 miles, you pass low-volume, 20-foot Spring Bluff Falls. This can be a pleasant spot for a break and a shower if it has recently rained. 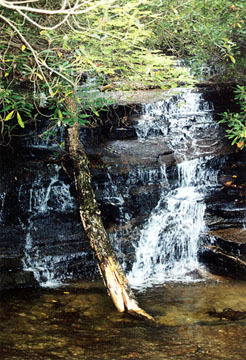 After 2.5 miles on the Pinnacle Mountains Trail (the Foothills Trail runs concurrent with this trail), you will cross Mill Creek on a scary-looking bridge at the base of 25-foot Mill Creek Falls. There are a few more cascades upstream as well where you can linger. 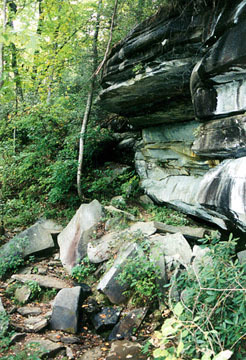 If you continue another .5 mile, you will reach Pinnacle Mountain Bald Rock with great views to the south, east and west. Go another .3 mile to reach the forested summit of Pinnacle Mountain. Be forewarned, this is a very tough hike with some very steep sections. 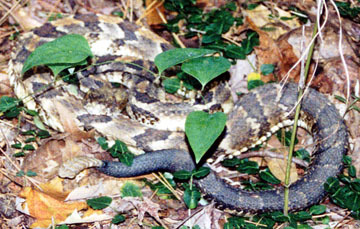 Directions: Table Rock State Park is on S.C. 11 near the Greenville-Pickens county line. Enter at the west gate, go past the campground and follow the signs to the nature center. Park in the lot across from the nature center and cross the road. Fill out the hiker registration form. 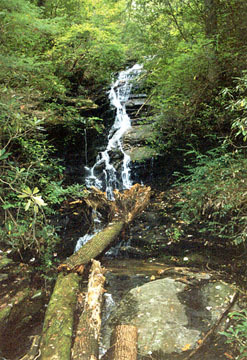 The Carrick Creek, Table Rock and Pinnacle Mountain trails all begin behind the nature center.